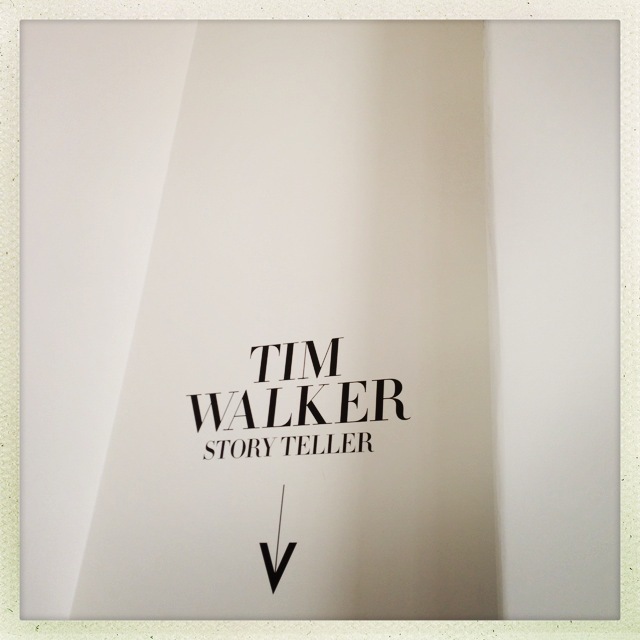 Tim Walker the Story Teller and Me. Turning “fashion shoots into fairytales”, Tim Walker’s Story Teller exhibition at Somerset House is like entering a surrealist fantasy. An ill-fated replica Spitfire dominates the entrance hall, while over-sized snails skulk in corners, and six foot wasps form a string quartet (well, duh) that holds court in the midst of the magic. Like Alice in Wonderland meets Narnia, Walker’s photography appeals to my essentially infantile imagination. As a child (encouraged by compulsive reading of The Four Seasons of Brambly Hedge) I believed trees were inhabited by families of self-sufficient mice, and spent hours knocking on knots in the hope of soliciting an invitation to tiny tea. I was convinced of the existence of Borrowers, thought frogs were princes and doggedly defended Father Christmas until I really was old enough to know better. This Thursday, 6 September we are hosting a very special Pamflet party to celebrate the launch of Emma Koenig’s book, F*ck! I’m In My Twenties, based on the Tumblr of the same name and we’d love you to join us! We’re back at Drink,Shop&Dance to party like we’re 21 with our girl gang of 20-something DJs: T4’s Georgie Okell with Verity & Georgina Langford to toast this potent document of urban angst, booze and fun times. There’ll be giveaways, crazy cocktails, special guests, mini-zines and the best music from our favourite artists in (or from when they were in) their 20s. Emma Koenig is 24. She does improv, writes the odd song and is basically trying to figure out her life. 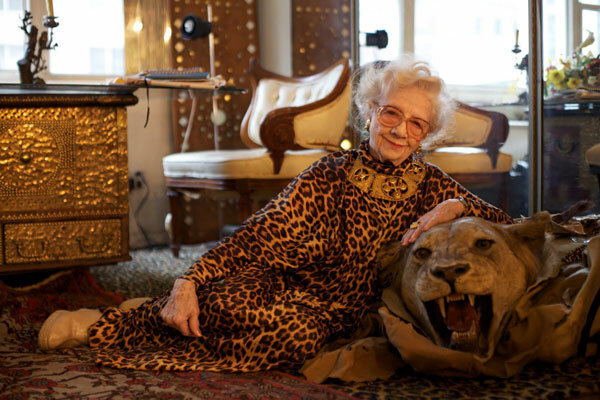 “When I am an old woman I shall wear purple” is far too mild a sentiment for the Manhattan dames who are the subject of Ari Seth Cohen’s blog and soon-to-be-released film, Advanced Style. Cheerfully clashing colours, prints, patterns and accessories, these stylish ladies love fashion and delight in expressing themselves through their clothes. Hats, handbags, whacky sunglasses, stacks of bangles and always, always red lipstick, these women have a lifetime’s experience of using the tools of fashion in creative ways. We’ve been doing Pamflet now for more than 6 years, with the last 3 of those online in a blog format (we won’t count myspace!). We’ve now decided that the time has come to take the blog to the next level and introduce some advertising to the site and with this in mind we have joined the Glam Media community. In 2005 we started making an unedited, all-over-the-place zine which said whatever we wanted it to about whoever we wanted. Although in some ways we and Pamf have changed a lot over the years, we still fully intend to keep our editorial stance the same as ever and just because we’ll be hosting ads, it doesn’t mean that we’ll change what we write. Glam’s ads are tailored according to channel and we are in the Style section. We can’t control what appears, but we are able to say no to advertisements if we think they don’t fit with Pamflet. You’ll recognise the Glam logo from some of our favourite sites such as Bitchbuzz and Stylist Stuff so we’re in very good company! So, this may be an elaborate joke but to my knowledge, Vice don’t make jokes because for them humour, like heroin, is so passé. That said, it could all be ‘totes lolz’ and through being fool enough to mention it on this here blog, I’m inviting the unequivocal scorn of the Vice-brigade (def: dictators of “cool” who all, look, like… Terry Richardson?). Anyway, enough of this Vice-beating (they love it too much) and back to the matter in hand. While idly perusing the interweb yesterday I came across a headline, so remarkable it made me choke on my full-fat (yeah, what?) latte. 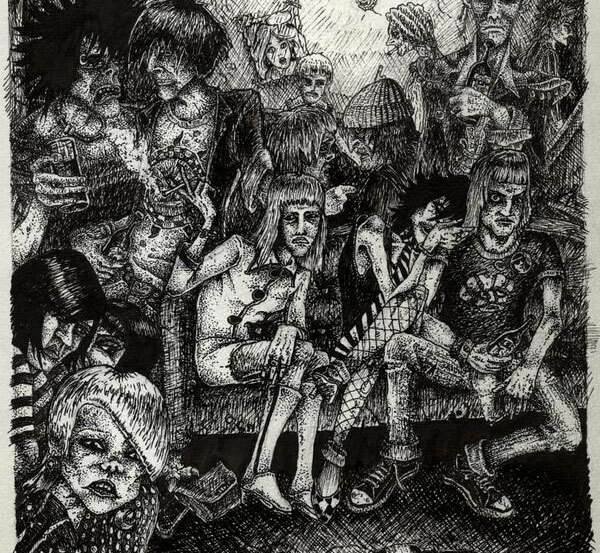 ‘The Only Way is Dalston?’ – wha-che-ke-wa-cha!!!? Wait: I’ve-got-flies-in-my-eyes. There’s-a-scratch-on-my-iPhone. I’ve-eaten-too-much-hallucinatory-cheese.I’m-not-awake.The.Only. Way. Is.D-A-L-S-T-O-N? Yep, there it is was, right there in black and white and irony. Now, I am an unashamed devotee of TOWIE. It’s a guilty pleasure akin to having crisp sandwiches for dinner. The cast are ridiculous but infinitely likeable because they know they’re ridiculous and appear to take themselves the opposite of seriously. Amy Childs – perma-tanned, fake-boobed, fake-nailed – the unlikely hero of the hour with her accidental witticisms and proclamations of “Shat aaaap! ?” long before anyone has even said anything. Yes it’s tacky and thoroughly unbelievable, but it’s also harmless, mindless viewing that I admit, frequently reduces me to tears of laughter. I’ll have two “extra reem Lobster Supremes” please Joey, with a side helping of “Cheers united”. 1/ Dalstonitesare an incredibly serious breed who rarely venture far from their natural habitat. Like those queer jellyfish residing at the very bottom of the ocean, you have to plumb the depths to guarantee a good sighting. This would involve a great deal of loitering on behalf of camera crews – who are a restless bunch and get bored waiting outside £1 shops and art-house cinemas. 2/ True Dalstonites are creatures of very few words and audiences would soon tire of lengthy, loaded silences if their only reward were a mediocre haiku. 3/ Thirdly, however tempting the allure of promoting their cutting-edge cool to the plebeian masses, appearing on national television is the Dalstonite’s version of Catch-22. Where Heller writes of deranged bomber pilots trapped betwixt the air and asylum, the Dalstonite is in a far more difficult quandary – caught between perceived cool and actual cool. True – it’s a tight spot and my sympathy goes out to those unfortunate enough to find themselves in such a pickle – but let’s face facts; any Dalstonite worth their flannel would balk at the idea of being captured on anything less than 120 camera film. Anything other would detract from their unquantifiable mystique. Therefore, if TOWID is a bonafide MTV offering and not just the Vice version of an April Fool (ha hahaaaa how totally post-cool of you), who on eastlondon would they persuade to appear in it? I’m guessing, a westlondon try-hard with a dip-dye and a well loved (slash unread) copy of Ulysses. Race you to auditions?